Just as the Iseo Lake splashes on the banks of Franciacorta, so the sparkling wine wets the sides of a glass. This concept arises from the graphic re-elaboration of the historical image representing the shape of the lake, and expresses all the power with which a freshly uncorked Reserve bottle is poured into a crystal glass. The little bubbles mix in the jet of the sparkling wine and create an expectation, an emotion which awakens a desire to open the bottle. An elegant label which is balanced in its graphics and colors and in the combination with a modern font as Anorak, that is perfectly integrated, but at the same time distinct from the original elements of the label. A daring solution was used with a transparent polypropylene to give new sensations: entirely hot foil gold printing to enhance the elegance of the product. 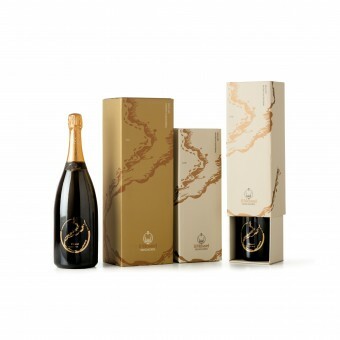 The powerful pouring out of the sparkling wine is underlined on the box, where the graphics wraps around the packaging. This project is the winner of the prestigious Award The Mosnel “Questione d’Etichetta” - now in its fourth edition and promoted by the historic winery in Franciacorta with the partnership of ADI. My studio specializes in visual communication consultancy for companies and in this we assist the customer at 360 °: logo design, corporate identity, catalogs, brochures, exhibition design, packaging and web design. I’ve been working as a Graphic Designer for over 20 years, aiming to face every single project by asking: who is the message to be communicated aimed at and how can I reach the end user in the simplest and most immediate way. In fact, the phrase that represents me is: "For all companies who want to keep up with the pace of the world, but attract the gaze of those watching". To achieve this in a society full of visual inputs, it is necessary to strike immediately to be recognized with a few well-directed messages. Creativity is being able to attract attention through the visual message and make people stop, even just for a moment. It’s being remembered! In a world where everyone is racing to go faster it’s important to understand how things are being observed and the importance of providing a clear communication and a strong visual impact. Here is the winning approach, adopted over the years for the most diverse clients, who have enabled me to maintain an open mind and that creative freshness needed to guarantee solutions that are never obvious or predictable. Because working every day in different sectors means having one single specialization, that of quality. 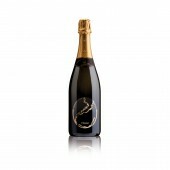 Il Mosnel Qde 2012 Sparkling Wine Label and Pack by Laura Ferrario is a Nominee in Packaging Design Category. · Click here to register today inorder to be able to view the profile and other works by Laura Ferrario when results are announced. Il Mosnel Qde 2012 Sparkling Wine Label and Pack by Laura Ferrario is Winner in Packaging Design Category, 2012 - 2013. · Read the interview with designer Laura Ferrario for design Il Mosnel QdE 2012 here. 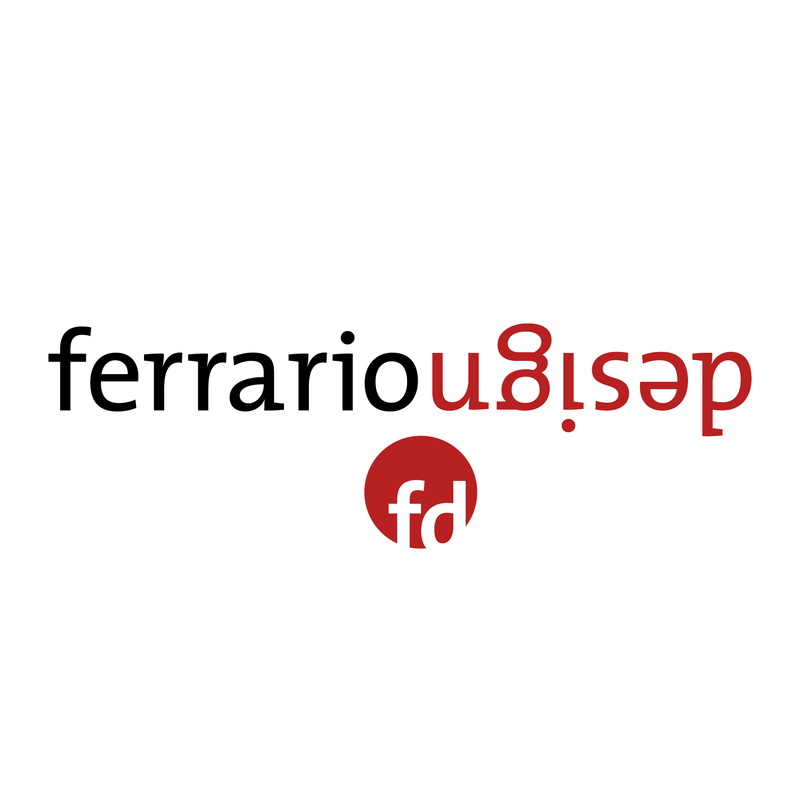 · Press Members: Login or Register to request an exclusive interview with Laura Ferrario. · Click here to register inorder to view the profile and other works by Laura Ferrario. Did you like Laura Ferrario's Packaging Design? 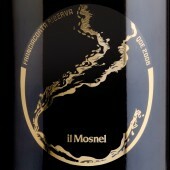 Did you like Il Mosnel Qde 2012 Sparkling Wine Label and Pack? Help us create a global awareness for good packaging design worldwide. Show your support for Laura Ferrario, the creator of great packaging design by gifting them a nomination ticket so that we could promote more of their great packaging designs.